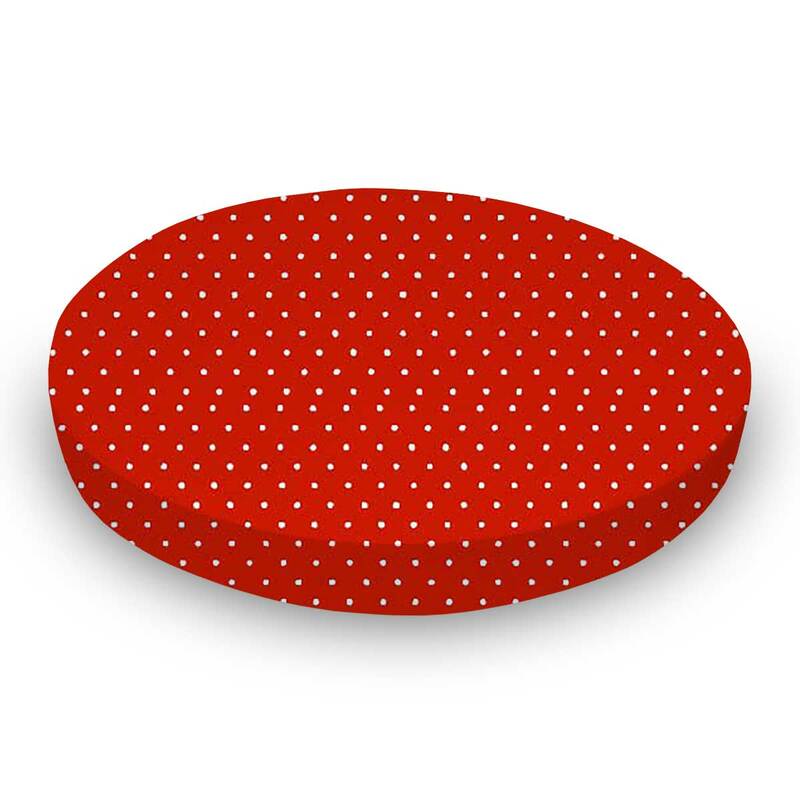 Round Crib 42" x 42"
Sheet Size: 42" x 42"
This luxurious 100% cotton "woven" round crib sheet features white pindots on a solid red background. Our sheets are made of the highest quality fabric that's measured at a 280 tc. That means these sheets are soft and durable. Sheets are made with deep pockets and are elasticized around the entire edge which prevents it from slipping off the mattress, thereby keeping your baby safe. These sheets are so durable that they will last all through your baby's growing years. We're called sheetworld because we produce the highest grade sheets on the market today. Size: 42 x 42.